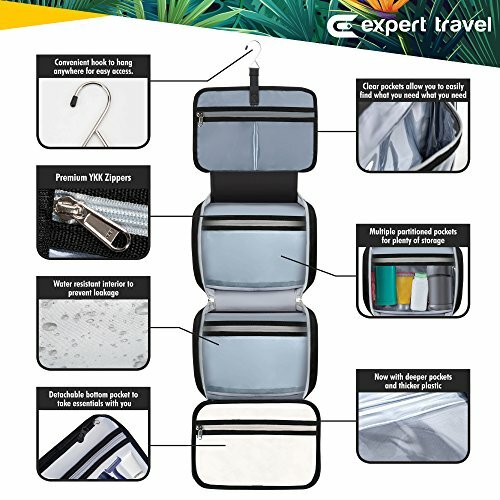 When we designed this product, we wanted to bring you more than just a hanging toiletry bag. 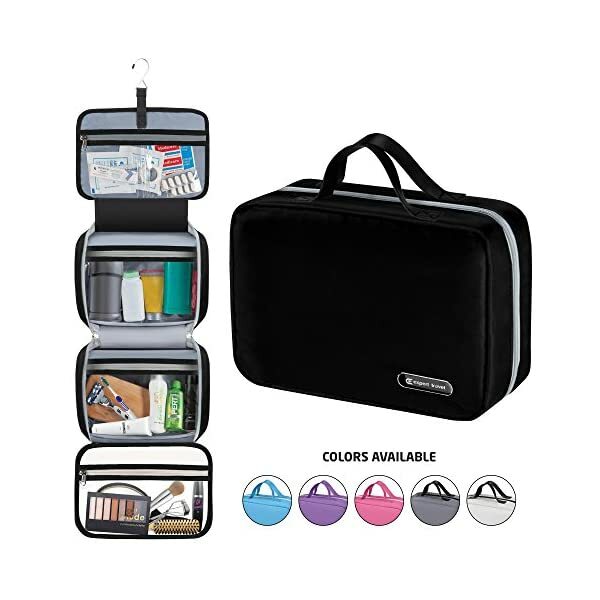 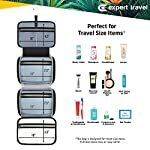 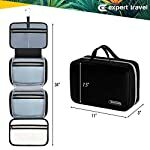 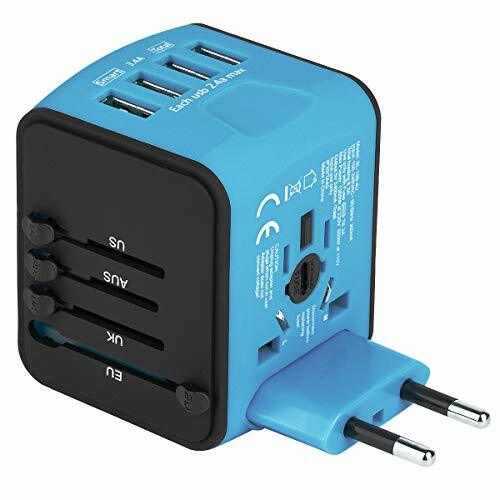 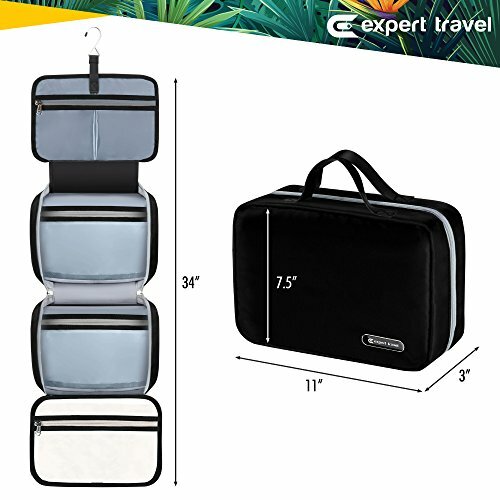 While the Expert Travel does an amazing job at that, it also functions as a travel makeup bag, cosmetic bag, bathroom and shower organizer, hygiene bag, and much more. 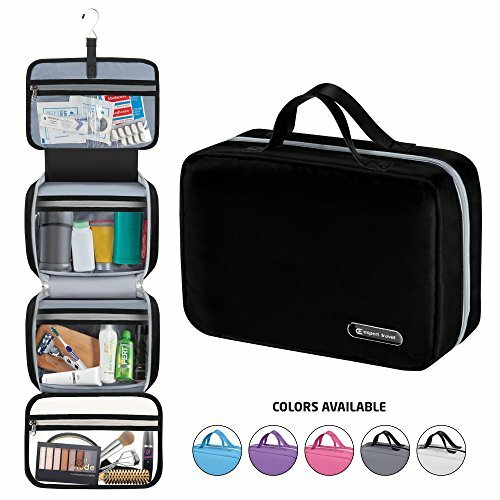 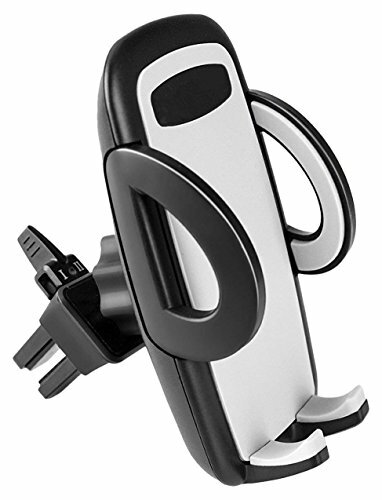 The multiple compartments allow you to easily organize all of your toiletries, make up/cosmetics, and bathroom products. 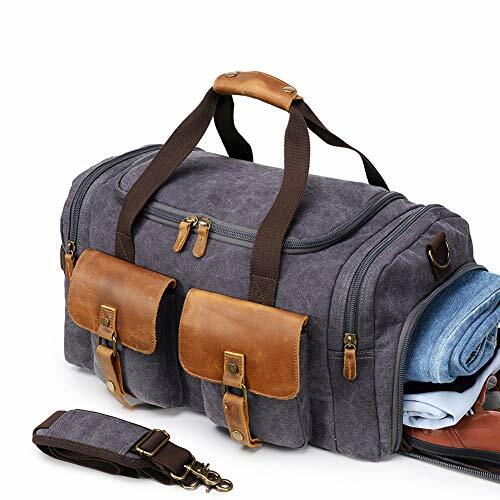 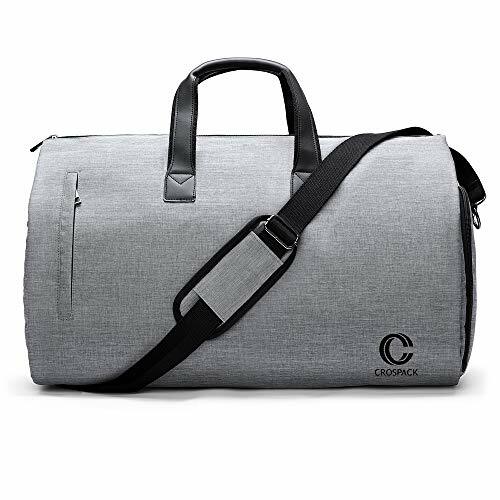 Plus, the bottom pocket is detachable in case you just want to bring a few essentials with you when traveling instead of the whole bag. 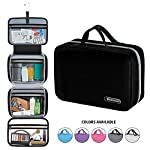 We also wanted a toiletry bag for men and women, so we went with a unisex design as well as a multitude of colors to choose from. 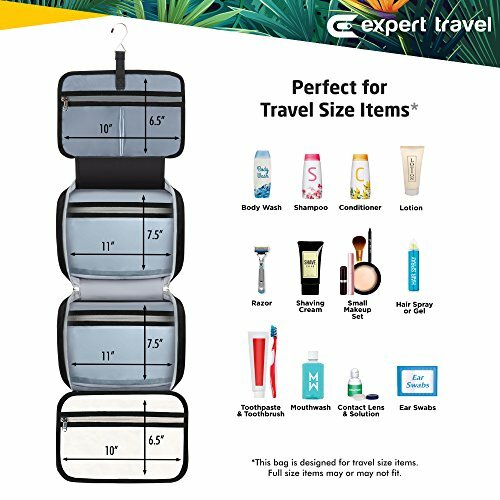 IMPORTANT UPDATE: As of July 1st, 2018, we completely redesigned our toiletry bag to bring our customers exactly what you asked for. 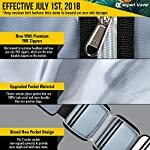 ALL REVIEWS LEFT PRIOR TO JULY 1ST 2018 ARE BASED ON THE OLD DESIGN. We added YKK zippers (the best zippers on the market), thicker plastic for the pockets (to enhance the durability and leak-proof aspect), and also expanded the pockets/bag overall to hold more items. 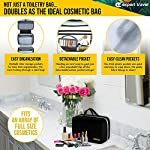 There’s no doubt in our mind that we now have the best hanging toiletry bag on Amazon. 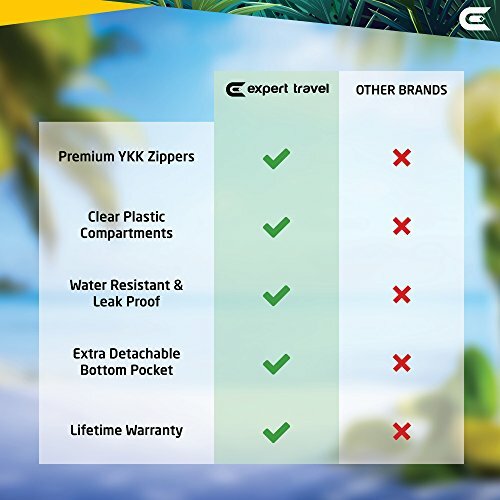 We even stand behind it with a lifetime warranty; that’s how confident we are! 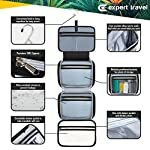 ✅ 100% WATERPROOF & LEAK-PROOF – Not only will your toiletries not leak out into your suitcase during travel, but you can also use this in the shower as an organized shower bag since the material can easily stand up to water. 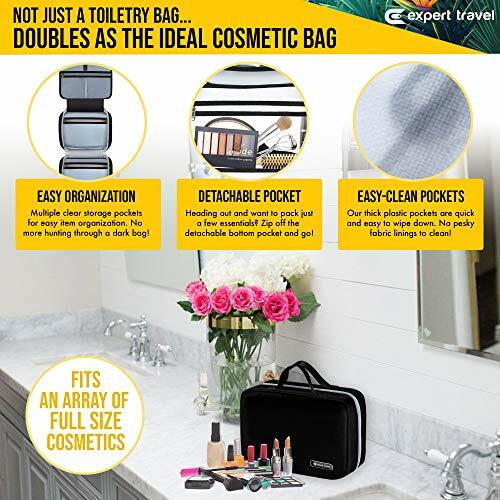 ✅ LIFETIME WARRANTY – The Expert Travel hygiene bag is protected for life; something not many other brands on Amazon can promise. 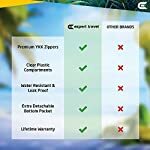 You are also covered by Amazon’s 30 day return policy if you’re unhappy for any reason.